In a time of great challenge and heartbreak in our world, what does our faith demand from us? 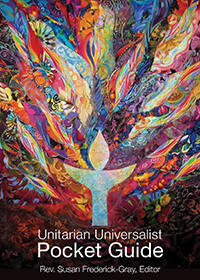 At this year’s General Assembly we will explore the power, possibility, purpose, struggle and joy of finding the path forward together as Unitarian Universalists. Attendees will leave inspired, with the tools needed to carry on the work into their own congregations and communities. Join us as we work for collective liberation inside and outside our faith. Registration is open. Rates increase May 1. Financial aid applications are due March 31. Use these Marketing Materials to promote GA to your congregation or group. The 2019 Ware Lecturer is Richard Blanco. Selected by President Obama as the fifth inaugural poet in U.S. history, Richard Blanco is the youngest and the first Latino, immigrant, and gay person to serve in such a role.